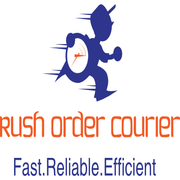 – Rush, same day and next day delivery company out of Phoenix, Arizona. Well known for excellent customer service with a great reputation for courier services in Phoenix using the latest technology to get your parcel where it needs to be, no fuss, fast and on time always. From small parcels, mail and documents right up to large heavy items that can fit in box vans, no problem for Rush Order Courier. Industries served – Medical, Government departments, Automotive, Real estate, legal, retail and more. One Hour Flash – Guaranteed 60 minute delivery by experienced career drivers. Two hour Rush – Picked up and delivered within 2 hours. Same Day – Same day courier in Phoenix metro area and surrounding states. Next Day – Cost effective parcel delivery for not so urgent items. You can request a pick up and delivery quote on the website.